Work in progress for a new game in the War of the Ring line. The game designers Francesco Nepitello and Marco Maggi, co-authors of the “War of the Ring” strategy board game, and Gabriele Mari, author of “Letters from Whitechapel”, “Mister X”, and “Garibaldi”, are developing the hidden movement, deduction and adventure game “The Hunt for the Ring”, recreating the initial chapters of “The Lord of the Rings” novel. The Hunt for the Ring: a hidden movement, deduction and adventure game. The game is planned to release on Summer 2017, but Riccardo Vadalá, one of the editors of Gioconomicon, an Italian website dedicated to board games, played the prototype with Francesco Nepitello at the Italian gaming festival GiocoForza, in late August. 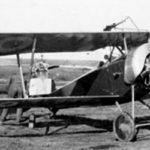 He wrote an early preview, originally posted on that site, giving his impressions and highlighting 10 innovations he spotted in the gameplay, which is reproduced below. The designers have continued to work on the game since then, so some details have changed in the meantime, but this preview presents a good foretaste of "The Hunt for the Ring!" The Hunt for the Ring: The One Ring hunt gets started! We had the chance to play the game with one of the three authors, Francesco Nepitello, who designed the game with Marco Maggi and Gabriele Mari. Together, they created a beautiful game of hidden movement, inspired by the classic Scotland Yard system and then introducing many new mechanics. The result is an extremely original design, strongly integrated with the theme - the journey of Frodo and his companions to destroy the One Ring. 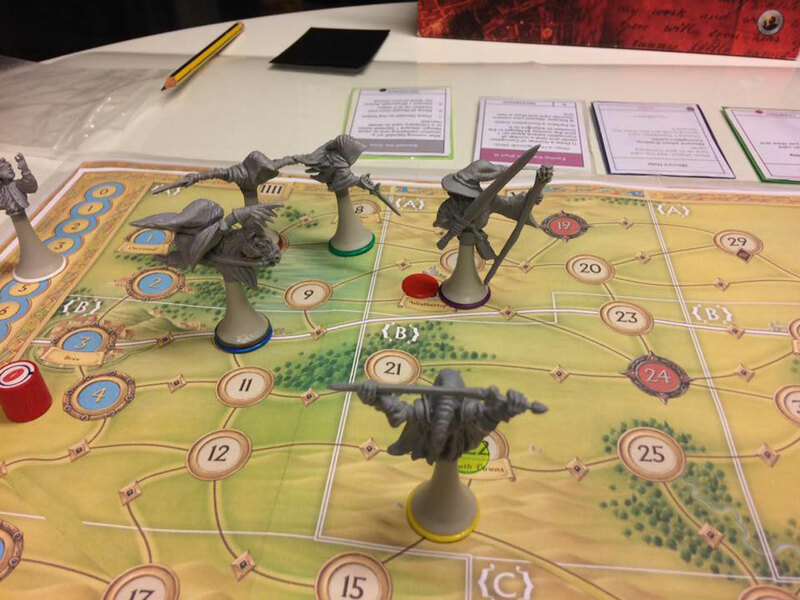 Although the version of The Hunt for the Ring we tried was still an advanced prototype (though some components, especially the beautiful game boards drawn by Francesco Mattioli, are almost definitive), the game is already fully playable and very close to what will be its published version. Currently, the design is going through a series of stress tests aiming to verify the game balance and the functionality of the topology of both maps. 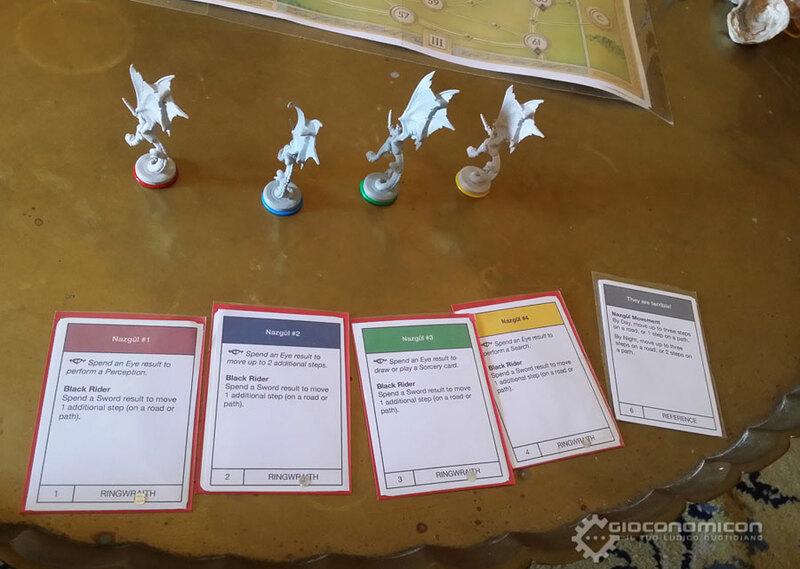 The Hunt for the Ring prototype played at GiocoForza. 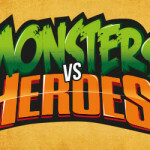 So, let us take a close look at this game, which seems to have what it takes to become a new best seller for Ares Games! In The Hunt for the Ring, one player takes the role of Frodo and his companions, on their journey from the Shire to Rivendell. He must avoid the hunt of the dread Nazgûl, controlled by up to four other players, and resist the Corruption of the Ring Frodo is carrying. In comparison to other hidden movement games, the innovations of The Hunt for the Ring are many, thus offering an original game experience and a great coherency to the book “The Fellowship of the Ring”. Let’s look at some of these innovations in more detail. 1st innovation - The Hunt for the Ring is played as two distinct ‘chapters’, each played on a different board. 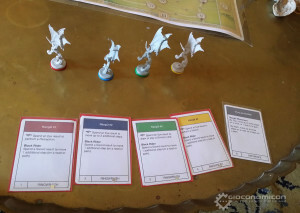 The two parts of the game can be played either in a single session, or in separate sessions, using a smart recording system of the results in the first chapter. 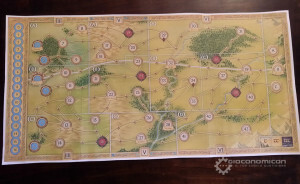 This system is inspired by a narrative expedient used by Tolkien himself in the book: as the Hobbits reach Bree having travelled from the Shire, they will not find Gandalf at the Prancing Pony, but only his letter, in the same way, the players will insert in an envelope the results of the first board (from the Shire to Bree), including remaining resources and penalty points. This envelope will “save” the game status so that in the next session everything will be ready to continue the game on the second board, from Bree to Rivendell. 2nd innovation - the game experience will change radically between the first and second chapter. From the Shire to Bree, the Frodo player will move the Fellowship with a hidden movement, while up to four other players will move the Nazgûl trying to track the Fellowship down. From Bree to Rivendell, the Frodo Player will no longer directly control the Hobbits, but will rely on drawing cards from a specific Journey deck; each card will show one of the many different paths to reach Rivendell (the destination) in 16 moves. This follows what happens in the book, as the Hobbits will no longer choose their road – they are now being led by Strider. Instead, the Frodo player will now directly control Gandalf, who tries to lead the Nazgûl away from the Ring-bearer (in the second chapter there will be a fifth Ringwraith, as the Witch-king will join the hunt). Prototype board of The Hunt for the Ring. 3rd innovation - the Ring-bearer player has three Company cards that represent the capabilities of Frodo and his companions. These cards are two-sided: one side shows the abilities to use in the first chapter, while the other side is used in the second chapter. However, when a card is used while moving on the first board, it will not be available for the second and more difficult part of the journey. Of course, the Nazgûl players also have their own Ability cards they can activate by using results from the roll of special dice. Bad news for the Fellowship: Nazgûl cards can always be used in both chapters. 4th innovation - while the Fellowship moves according to specific rules, the Nazgûl act choosing their options from those generated by the roll of special dice, which show various actions in different combinations:. Search: allows an attempt to find the Fellowship in the area occupied by the Nazgûl. Perception: it is a special search action that works on a whole board sector, instead of a single location, giving more general yet longer-range information. Sorcery: allows the Nazgûl to draw a card from the Sorcery deck, or to play a Sorcery card already in his hand. 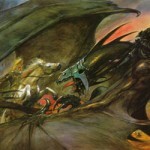 The One Eye: activates a given Nazgûl’s special ability, as described on his Ability card. Gandalf: represents a negative result for the Nazgûl, which can be mitigated by special circumstances. 5th innovation - the boards use two different types of locations. Numbered circles are Known Locations, while the dots connecting these locations represent the Ring-bearer moving through the wild, in-between locations. 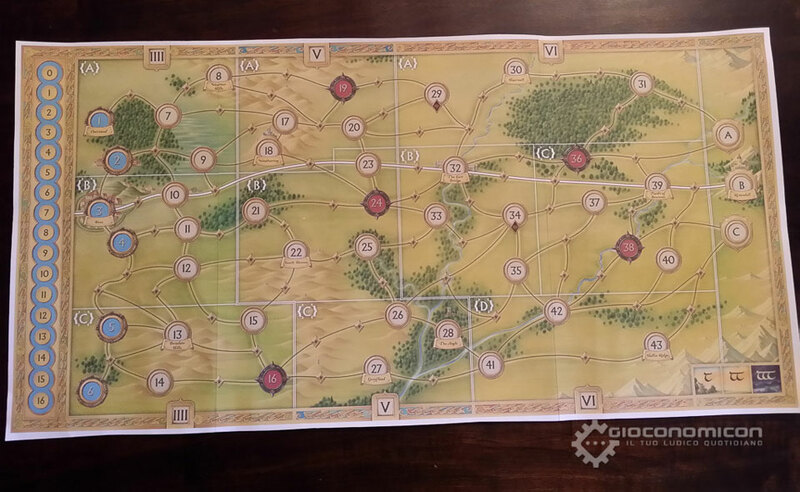 When the Frodo player records on his movement sheet one or more of these dots he is allowed to choose later which course he is taking to the next Known Location. On one hand, this mechanism allows the Frodo player to postpone his next Known Location choice – giving him the chance to better analyze the Nazgûl movements. On the other hand, if a Nazgûl searches the last numbered location used by Frodo before a movement in the wild, that location (the Last Known Position) will result effective to find the Ring-bearer (as they left a clue in the last place they were in, and the Ringwraiths are able to chase them). 6th innovation - unlike most hidden-movement games, even when the Nazgûl find the exact location of the Ring-bearer, the game is not over: instead, the Frodo player gets penalty points, called Corruption Points. Each time a specific Corruption test is called if the Frodo player has 16 or more Corruption points he loses the game. However, Corruption points can be reduced in several ways. It appears, then, that the Nazgûl’s core strategy is mainly to slow down the Fellowship and inflict as much damage as possible, forcing Frodo to discard many Ability cards during the first chapter, and inflicting him as many Corruption points as possible, so they can recover the Ring during the second chapter. 7th innovation - the Hunt. Although if Frodo is spotted by a Nazgûl the game does not end, the other Nazgûl nearby can attempt to get closer and inflict further damage on the Ring-bearer. Once the Hunt is resolved, the Flight begins: a special movement that allows the Ring-bearer to run away from the area. 8th innovation - the Fellowship has a deck of support cards, called the Allies deck; but the Nazgûl also have their own support deck, the Sorcery deck. Sorcery cards require the use of the special dice to be played, as we said before. 9th innovation - each turn is divided in three phases, representing three different times of the day: in the sunlight, the Nazgûl are slower (they can move 3 locations on the road, and 1 location on paths), while they are faster by night (3 locations on the road, 2 on the path); furthermore, their Sorcery cards work better during the night. Some figures and prototype cards. Of course, the Ring-bearer is better in the daylight and may decide whether to rest during the night (losing in this way some Corruption points), or push forward trying to move faster. 10th innovation - victory conditions in The Hunt for the Ring are simple. 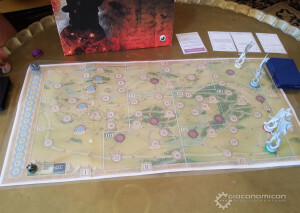 In the first chapter, Frodo must complete the course in 16 turns, reaching one of the exit points; if the game last longer than 16 turns, each turn over the 16th will give Frodo more Corruption points. 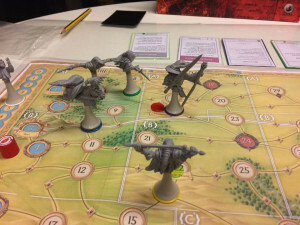 In the second chapter, the automatic movement always brings Frodo to the exit in 16 turns, however, if the Nazgûl players intercept Frodo before he escapes to safety, the Journey card he is using will be discarded and replaced by another – representing a last-ditch escape led by Strider. In this case, the Fellowship will receive more Corruption points that will weigh heavily on the final Corruption test, required as the Fellowship reaches the exit to Rivendell on the 16th turn. It is easy to see that The Hunt for the Ring is a very original game, perfectly integrated in the book’s background (the duo Maggi-Nepitello is known for their thorough and accurate study of the Middle-earth world), while keeping the essence of classic hidden movement games (with an exceptional game balance, thanks to the painstaking attention and long experience of Gabriele Mari with the genre – he is the author of Garibaldi, Mister X in Europe and Letters from Whitechapel). The Hunt for the Ring is not an easy game, but one that will surely appeal to Tolkien’s aficionados, and to the serious gamer. This seems also to be the way Ares Games sees the title, as the publisher consider it as the third instalment in the War of the Ring series, right after the two “monster” games War of the Ring and The Battle of Five Armies. Add to all this the fact that the game materials should be extremely beautiful, graced by the artwork of John Howe and the beautiful game board by Francesco Mattioli, and we are sure you will join us in the wait – nay, the hunt for this new achievement of Italian board game designers: The Hunt for the Ring! 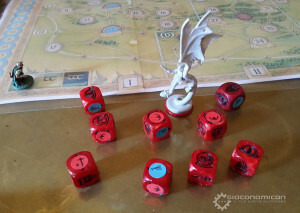 Ares Games thanks Riccardo Vadalà and Gioconomicon for this great preview!